The European tour moves to the Doha Golf Club in the UAE for the Commercial Bank Qatar Masters. Doha Golf Club was designed by Peter Harradine and opened for play in 1997, measuring 7374-yard. It incorporates eight strategically positioned lakes, which have been stocked with a variety of fish. 65 giant cacti were imported from the Arizona desert, add 300 palm trees, 10,000 trees, 5,000 shrubs, limestone rock formations and like a lot of the courses in the UEA it offers a beautiful juxtaposed position of beautiful lush fairways to the desert that lies beyond. The eight artificial lakes weave their way along most of the holes and with the punishing rough, which is made up of desert sand, rocks, trees, shrubs, long grass and clever bunkering, accuracy is at a premium on a course that offers plenty of risk and reward shots. I do think this weeks winner could be between Louis Oosthuizen 15/2 and Justin Rose 9/1 and we have had success with both this season if you have been following my guide. 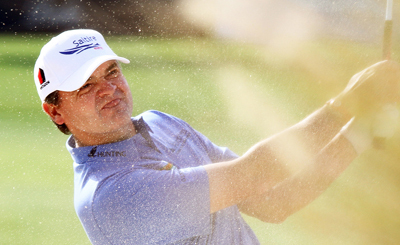 These aren’t the greatest of odds, so if you’re looking for other possible winners at better odds, then first up would be defending champion and hoping to make it a hat-trick of wins in this event, Paul Lawrie 28/1. Paul has had two top 10 finishes in his last six events but he obviously enjoys this track and it’s hard to ignore a defending champion being in the mix come Sunday. Those of you who are regular followers will know I have tipped Branden Grace 25/1 for the last few weeks and if you had backed him last week you would have won a few quid back. Branden has had three Top 10 finishes in his last six events and has slowly progressed up the leaderboard with twelfth, seventh and fifth place finishes in his last three tournaments, let’s hope he keeps that progression going here this week. Henrik Stenson 25/1 looks like he’s getting back to his best form, a win at the South African Open at the back-end of last year and three Top 25 finishes in his last three tournaments, shows the Swede is starting to get some consistency to his game. Thongchai Jaidee 40/1 is another player who is showing great consistency with four Top 10 finishes in his last four events he looks to have started this season how he left off last year and I don’t think it’s going to be long before Thongchai adds to his five European Tour titles. 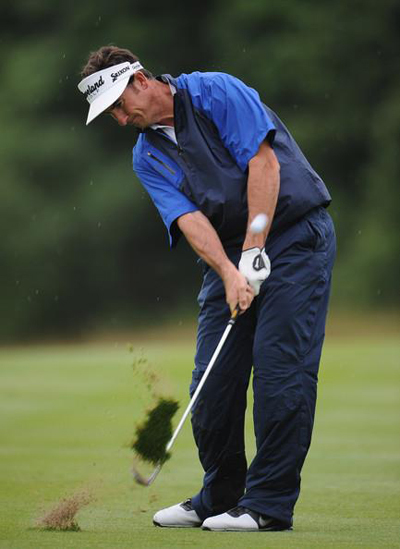 It’s been two Top 20 finishes from two tournaments played by Gonzalo Fdez-Castaño 35/1 in 2013, one of those being a Top 10 at last weeks HSBC Golf Championship. The lad from Madrid has never won multiple tournaments in a calender year but I think that may change this season. I was surprised to see Ricardo Santos 125/1 this far down the betting odds after his impressive display at last weeks HSBC Golf Championship, finishing 3 shots behind eventual winner Jamie Donaldson to take forth place. This comes on the back of a couple of Top 25 finishes at the back-end of last season and picking up his first European Tour victory. I actually managed to get him at 150/1 on bet365. The outside bets are always fun bets but for the price of a beer can taste a whole lot better when they come in! !